On 25th February, the closing ceremony of the 2018 Winter Olympic Games was held in PyeongChang Olympic Stadium, South Korea. As the host of the 2022 Games in Beijing, China presented an eight-minute handover show that incorporated many high-tech elements and Chinese traditional symbols. Chinese President Xi Jinping gave his heartfelt blessings. As the video shows, the whole presentation brought to light a new-style emerging from China via its artificial intelligence prowess and ability for viable teamwork within the artificial intelligence itself. Performers danced with 24 intelligent robots – representing Beijing hosting the 24th Winter Olympics. There were two dancers leading the whole team, by dressing panda puppet costumes. To guarantee minimal pressure on the two dancers, designers created a special material after conducting over a hundred experiments. This material combined aluminum alloy tubing and carbon fiber-reinforced polymer strips. The result was an outfit weighing only about 10 kilograms. The giant panda is on the WWF logo and is known as a ‘national treasure’ in China. The panda, as the most typical feature of China, has become popular all over the world. This sneezing baby panda video is the most viral panda video on Facebook and YouTube. Chinese knots have a long history in China. It has been regraded as the core of family life and culture. The usage ritual of knots can involve hanging on the wall or from the ceiling as part of indoor decoration. Historically knotwork is divided into cords and knots. This is as a form of Chinese fork art. The technique was later popularized in the Ming dynasty and spread to Japan and Korea. 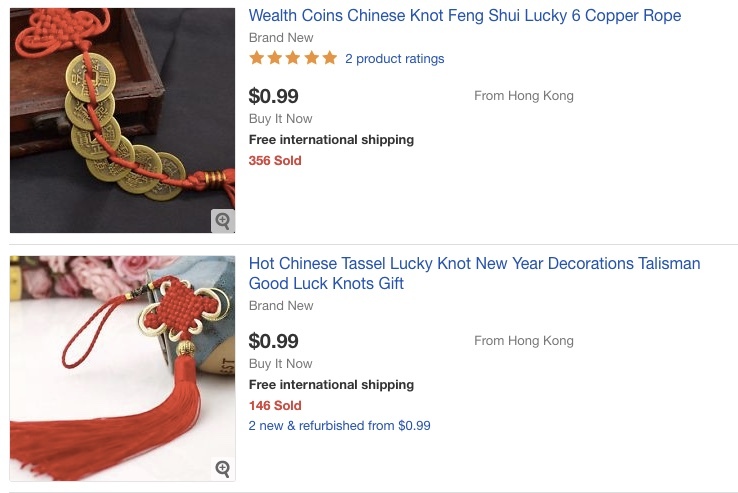 More westerners are becoming familiar with Chinese knots. Sales on eBay demonstrate an increasing interest. As a world cultural heritage site, the Great Wall is already the most famous tourist scenic spot in China. The 24 artificially intelligent robots were designed to imitate the aesthetic appeal of the bricks at the Great Wall. The robots looked like a mini versions of the Great Wall when dancing together and making a continuous shape. The Great Wall, as one of the greatest wonders of the world, is a destination that everyone visiting China must see. Many celebrities have been to the Great Wall, including Melania Trump, Tom Hiddleston and Hugh Jackman.